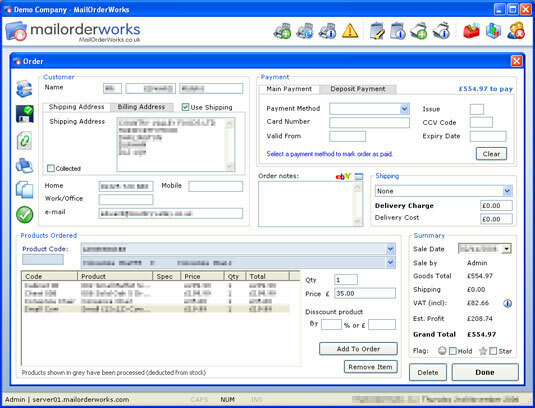 We're offering a free 30 day trial of MailOrderWorks, simply create a free trial account. See who ordered what and when. Find orders by searching or filtering by their status. Maintain product stock levels with the built in stock control system. Save time by using a product inventory. Create reports for sales and stock. Print professional invoices and use label paper to save time. Barcode support (stock control with barcodes). Plus much more, see the full features list for details.